AnyDesk is an outstanding application for the remote desktop similar to TeamViewer. You can say it an alternative of the TeamViewer, which is available freely. Anydesk provides a faster remote connection than any other existing remote desktop application. Personally, I also love it and use. 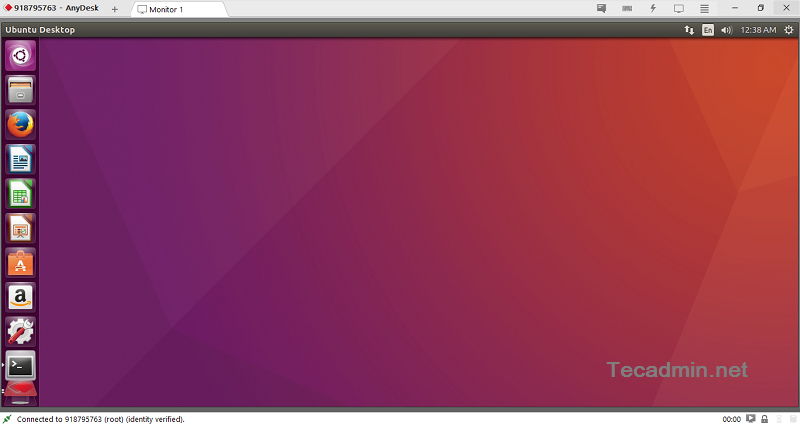 This tutorial will help you to install AnyDesk on Ubuntu, Debian, and LinuxMint systems. But, If you still love TeamViewer, You can also install TeamViewer using these instructions. Anydesk is available in both 64-Bit and 32-Bit formats. You can download it from its official website and install on Ubuntu, Debian, and LinuxMint operating systems. 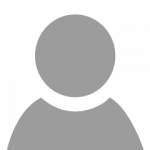 If the above commands faced issue for dependency issues, Execute below command to install Anydesk with required dependencies. Let’s launch the AnyDesk on your system. 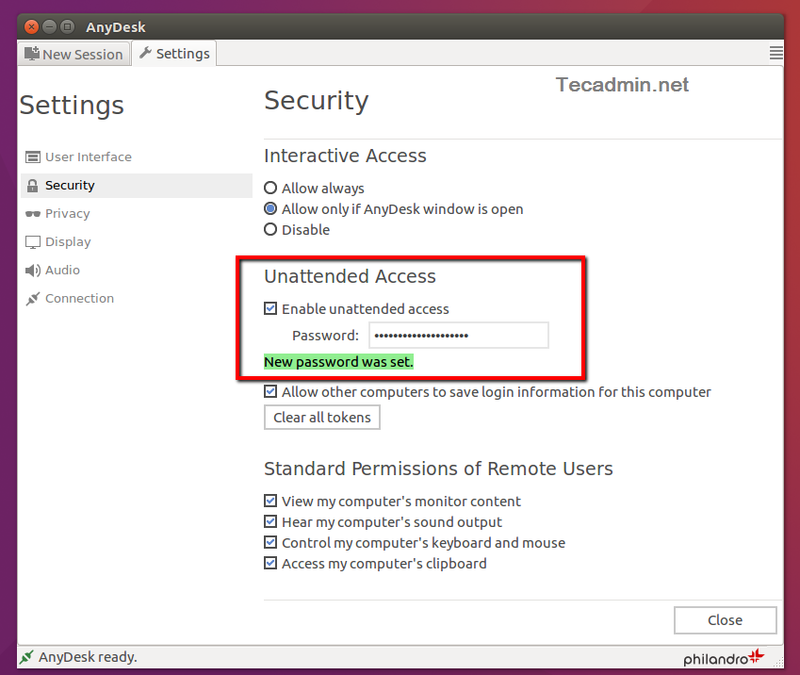 You will get an AnyDesk ID for connecting from remote systems using AnyDesk. Now, You may need to set a password for unattended access. This will set a fixed password on your system, Which can be used anytime to connect. 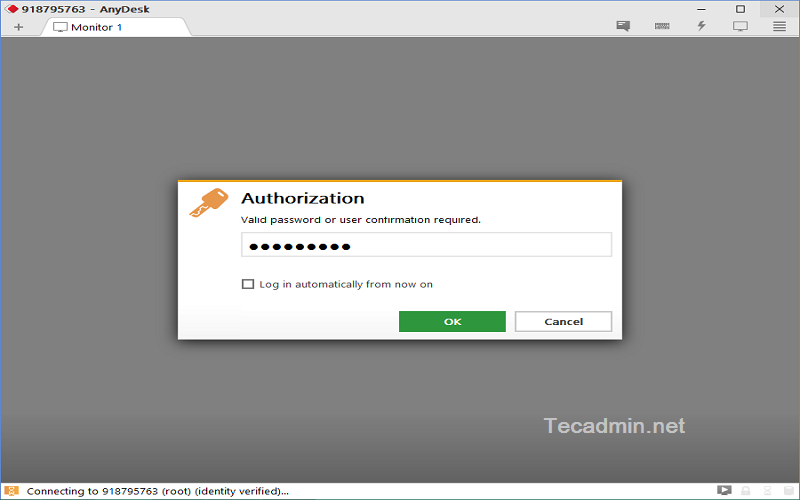 Check the Enable unattended access checkbox and set a secure password. You also need to install AnyDesk on the client system. 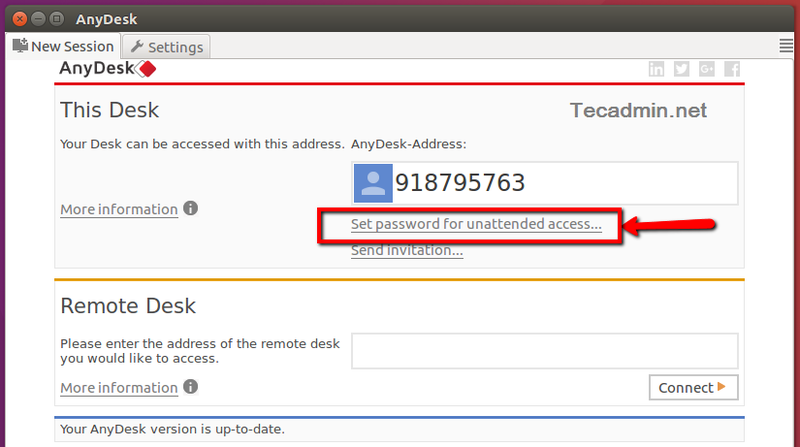 Then connect from the remote system using the ID provided by AnyDesk and password set in the previous step. All done. You have access to the Desktop of the remote system. I’ve installed Anydesk on ubuntu 16.04 server. If it is rebooted or wake on lan remotely, without login, I can connect but I can’t do anything. Keyboard is not working and I can’t login. I must login first and then I can connect and it works fine. Why is it happens? How can I solve it? If Anydesk is installed on a windows PC, then it works fine anytime. tuve el mismo problema, lo arregle de esta forma.